Pixie’s Pocket will be appearing at the Festival of Legends 2018 in Apex, North Carolina again this year! Join us on the weekend of April 14-15, 2018 for the seventh annual event, and this year’s theme is DRAGONS! 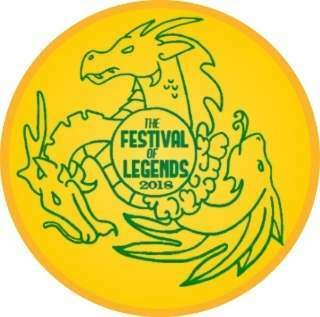 The Festival of Legends is a fantasy festival that takes place over a single weekend. It is full of awesome vendors of clothing, costumery, garb, and even fairy wings. There’s jewelry, artists, wood carvers, performers, wandering characters to meet, and even a joust! Eric and I will be set up to read tarot and oracle as usual, plus we’ll have Pixie’s Pocket herbs and crafts from the shop. We may even have the art of a few different friends to vend. I just purchased a nice new banner for the tent today, so we’ll be easy to spot! If you are in the vicinity in April, come to the Festival of Legends and say hello!